Herewith we invite you to take part in the 5th Russian conference “Metastable States and Fluctuation Phenomena”, dedicated to the 90th anniversary of the birthday of academician V. P. Skripov. 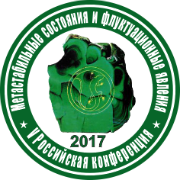 The conference will be held from 17 to 19 October 2017 in Yekaterinburg (Russia) at the Institute of Thermal Physics of the Ural Branch of the Russian Academy of Sciences. This conference is a continuation of a series of All-Union meetings on the physics of metastable states organized by and taking place at the Institute of Thermal Physics (formerly the Department of Physico-Technical Problems of Power Industry, the Ural Scientific Centre of the Academy of Sciences of the USSR) since the 1980s. The aims of the conference are to discuss modern problems in the field of thermal physics of metastable states and ways of their solution, to attract young scientists to the most relevant topics of scientific research. 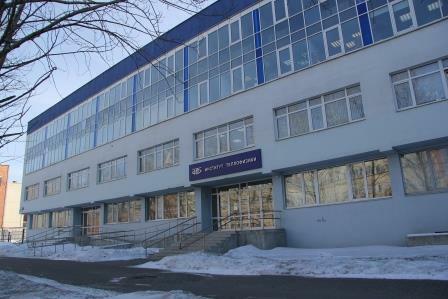 The conference is organized by the Institute of Thermal Physics of the Ural Branch of the Russian Academy of Sciences, with the support of the FANO of Russia, the Ural Branch of the Russian Academy of Sciences, the Branch of Power Industry, Machine Building, Mechanics, and Control Processes of the Russian Academy of Sciences, the Russian National Committee for Heat and Mass Transfer, the Russian National Committee on Thermophysical Properties of Substances and the Russian Foundation for Basic Research. The registration and the reception of abstracts for the 5th Russian conference “ Metastable States and Fluctuation Phenomena” are over. Information about the acceptance of the paper will be send to every participant of the conference before 31 May 2017. The program of the conference will be formed after 1 July 2017. 20.10.2017 - A full archive of photos from the conference is posted. Working languages of the conference are English and Russian. Contributions of the participants are to be given as oral presentations. The best reports of young scientists will be awarded with special diplomas. The registration fee for participants is €100. Foreign participants should pay the registration fee upon arrival at the conference 17-19 October 2017. 1. Orehovo-hotel, Kolokolnaya St., 64. The hotel islocated at 2.5 km from the Institute of Thermal Physics UB RAS. Hotel has 6categories of rooms: standard budget (1800 ₽/d), standard (1900 ₽/d), standardplus (2100 ₽/d), comfort (2400 ₽/d), comfort plus (2700 ₽/d) and suite (4000 ₽/d). The breakfast is included in the room rate. The cost of rooms isspecified taking into account the discount for conferees. Room reservation ismade directly on the hotel website or through the Organizing committee of the conference. At room reservation on the hotel website it is necessary to specify"A conferee of Institute of Thermal Physics UB RAS ". 2. Gostiny Dvor "Jhemchuzina", Divizionnaya St. 8a, is situated at a distance of 2.7 km from the Institute of Thermal Physics of UB RAS. Rooms: "Standard" single, double and three - bedded rooms of economy class; "Semisuite" with a kitchen; "Lux","festival" suite and two-room suite. Rooms may be booked right on the site Gostiny Dvor "Jhemchuzina". The language of the site is Russian only.